For the third day of cooking healthy dishes for a particular diet program, where I had selected to do Diabetes Diet, I finally decided to make this Pongal with Oats and Moong dal. 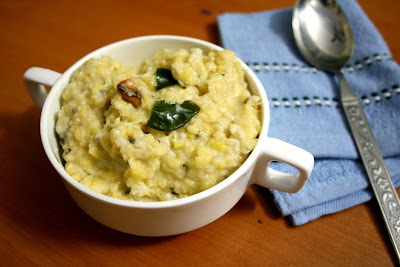 These ingredients are normally advised when we try to arrive at menu for a diabetic diet and I decided I could make something similar on lines to a pongal as I was making for dinner. This recipe was just came to mind when I was thinking of another theme. Now I am forced to come up with something else. It might sound little weird, however I am not so receptive to new combinations. This actually prevents me from experimenting lot of new combinations. I guess I am fine with that trait of mine, nonetheless more happy than self. This also prevents from lot of new dishes coming out of kitchen that has no takers. This doesn't mean I don't cook new dishes, however I always first visualize the taste and then proceed. I have been lucky with the success most times. You may ask how I manage the non veg, well no answers there! 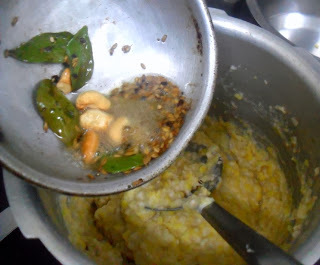 Anyway I am happy to have landed with another combination that works out well for diabetes, I will have to cook this couple of times more to get that correct water proportion, to get the right stickiness in the pongal. I am sure you can reduce and cook more if required. All in all, another theme done to satisfaction. 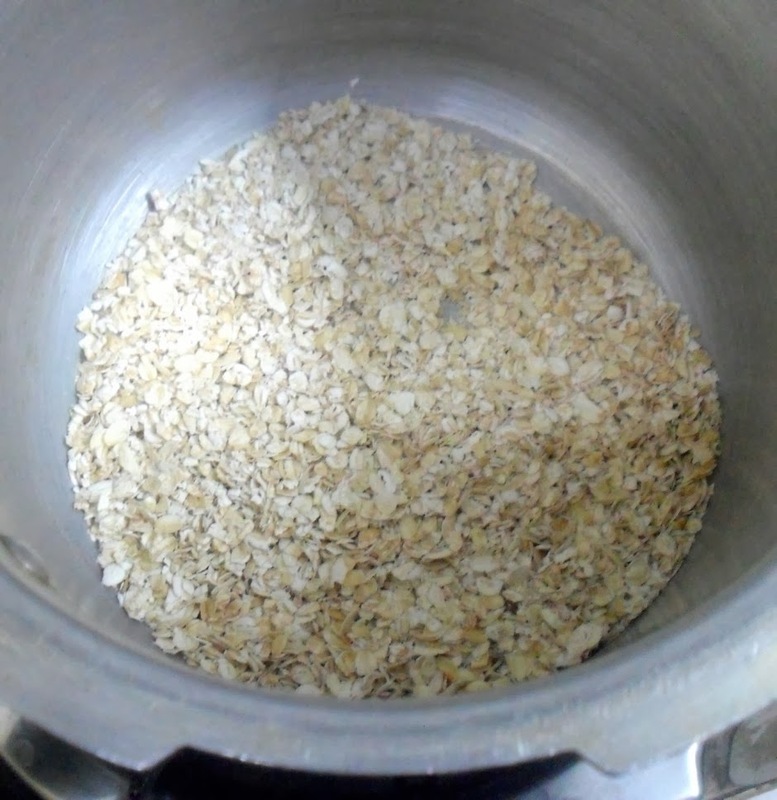 In a pressure cooker, roast the oats for a while. Remove and roast the moong dal. Wash the moong dal and add the oats to the pressure cooker. Add the water and salt. 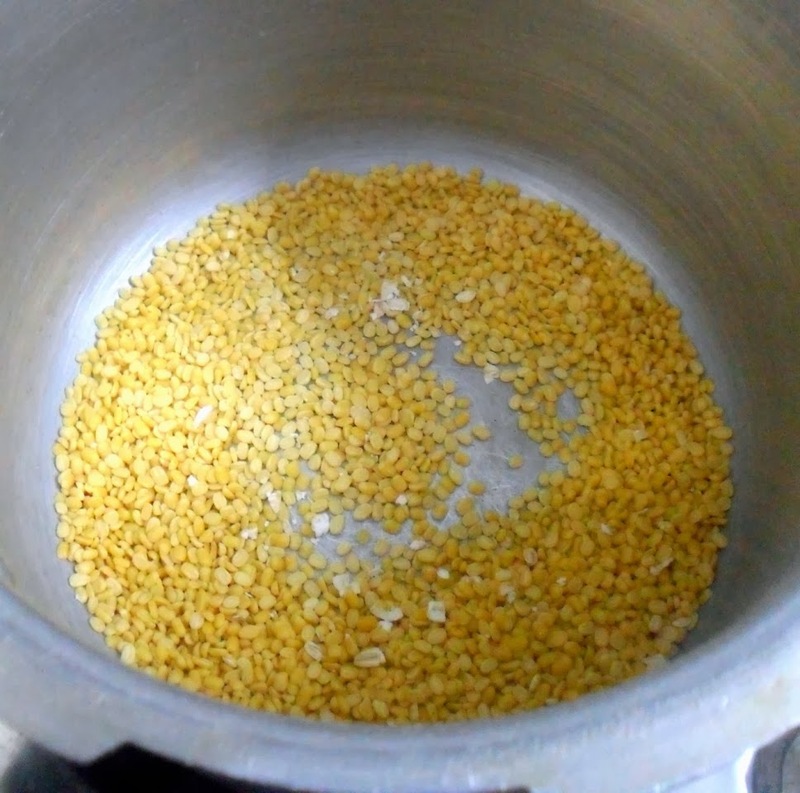 Pressure cook for 2 -3 whistles. Once the pressure falls, heat another pan with ghee, temper with cashews, curry leaves, pepper, cumin. 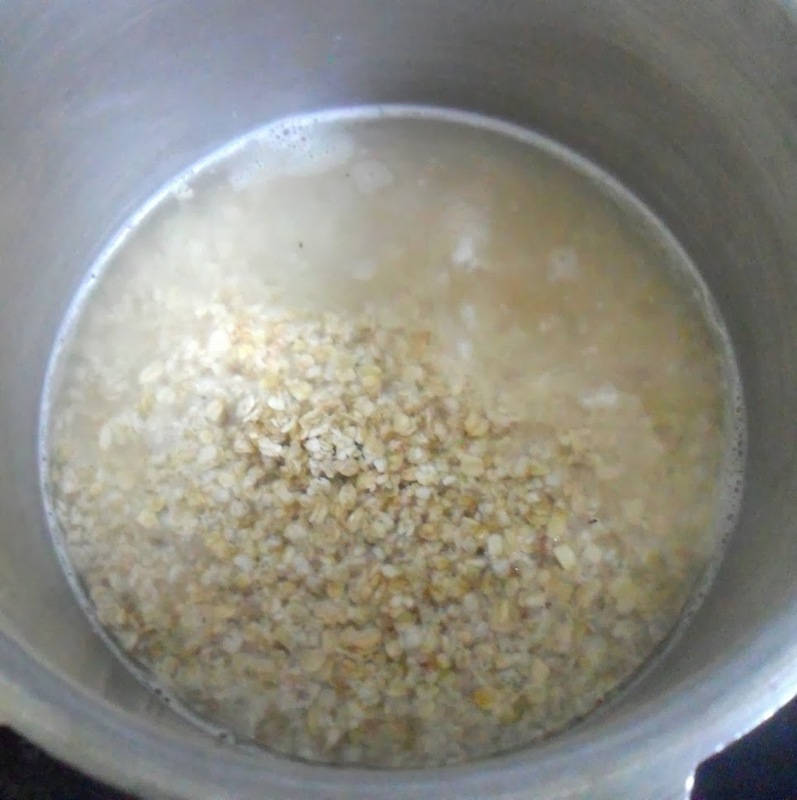 Pour over the cooked oats and dal. Mix well. Serve with chutney or pickle. 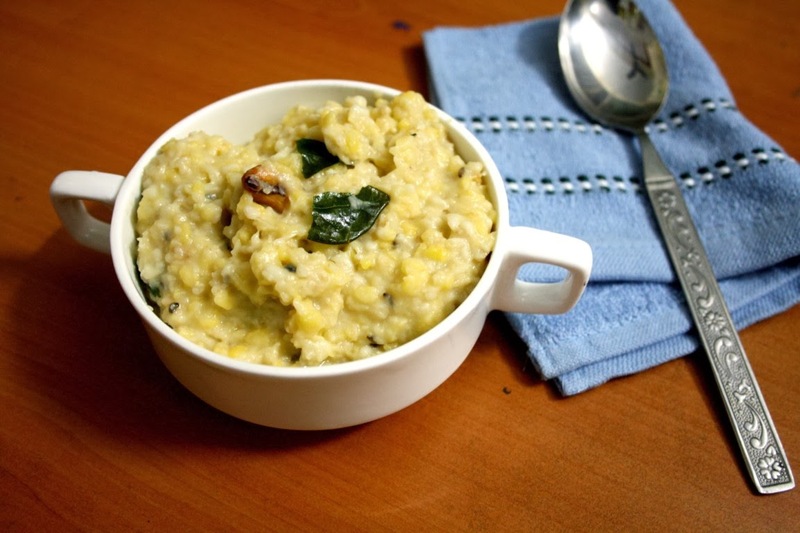 Since Oats become mushy and sticky when added in water, make sure you don't add too much water as it is normally added in regular rice pongals. You can add vegetables to increase the healthy aspect as well.